With 2014 less than a week and a half away we thought it would be the perfect time to look back and reflect on one of our favorite topics here at Discover Lehigh Valley – food. With its diverse selection of quality restaurants, Lehigh Valley is a food-lovers dream. As a staff we compiled a list of our personal favorite meals that we’ve enjoyed around the valley in 2013, and invite you to share your favorites too! Roasted Brussels Sprouts - Emeril&apos;s Italian Table: Recounting all of the delicious food from the last year, George instantly thought of the roasted Brussels sprouts from Emeril&apos;s Italian Table. 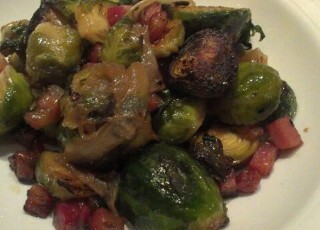 Previously George was not a fan of Brussels sprouts to say the least, but this version of the dish roasted with prosciutto and caramelized onions completely changed his mind. Now George likes these Brussels sprouts almost as much as he adores Hall and Oates, and that&apos;s really saying something. 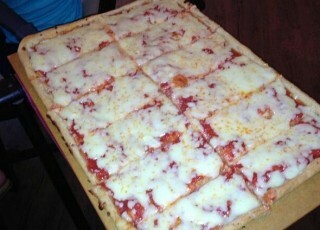 Old Forge-Style Pizza - Fratzola&apos;s Pizzeria Cafe: Since Ryan moved from Scranton &apos;The Pizza Capital of PA&apos; and became a Lehigh Valley resident he searched for a very long time for the perfect tray. It wasn&apos;t until Fratzola&apos;s Pizzeria opened in Bethlehem that his pizza prayers were answered. Their famous Scranton Old Forge-style pan pizza made with rich unique cheese blend and sweet sauce is a nostalgic experience for Ryan each time he enjoys it. In 2013 Fratzola&apos;s won our vote for the best pizza in the valley, beating out 2012 winner Gio Italian Grill. 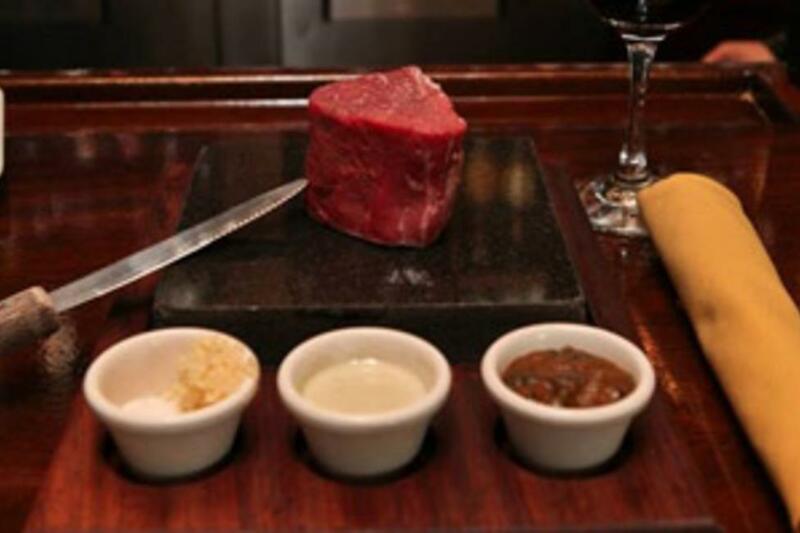 Steak on a Stone - Valenca: Early in 2013 Kaitie visited Valenca during Easton&apos;s Restaurant Week and enjoyed her time there so much it became one of her favorite places in the valley. 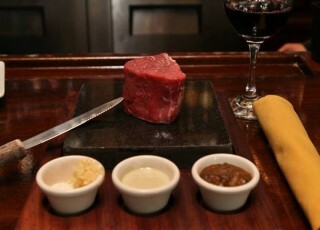 Her pick for best meal of 2013 is their steak on a stone, a unique meal experience, which lets you cook filet mignon table-side on a hot stone with a variety of sauces and spices ensuring it&apos;s done just the way you like it. Served with Portuguese chips and fresh veggies, it&apos;s a delectable meal any self-proclaimed foodie must try. 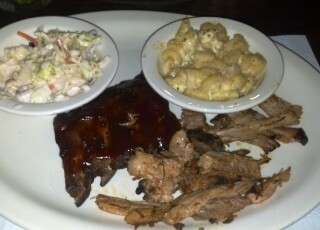 Smokehouse Sampler - Point Phillips Hotel: Located five miles north of Bath, Point Phillips Hotel&apos;s smokehouse sampler comes in as Nancy&apos;s number one meal of 2013. With a smokehouse on premises, the sampler featuring pulled pork, pulled chicken, St. Louis ribs, and a double smoked brat is artfully made fresh each day. After a five-year hiatus the Point Phillips Hotel re-opened in early 2013, with food so delicious it was well worth the wait. Chicken Bryan - Carrabba&apos;s Italian Grill: Whenever Debbie and her husband decide to go out to dinner, the very first thing that they both crave is the Chicken Bryan from Carrabba&apos;s with a Cesar salad and a side of calamari. Debbie&apos;s top dish of 2013 incorporates wood-grilled chicken topped with goat cheese, sun dried tomatoes and basil lemon butter sauce, yum! Trout Cascade - The Cascade Lodge: A unique country dining experience located in Kintnersville, The Cascade Lodge is the home of Ed&apos;s favorite meal of 2013. During the summer months patrons to the lodge may choose their own live trout fresh from a spring-fed pond that runs right through the restaurant. Trout Cascade is a dish that features Rainbow Trout sauteed in butter with fennel, lemon, flamed with bourbon, and finished with heavy cream. 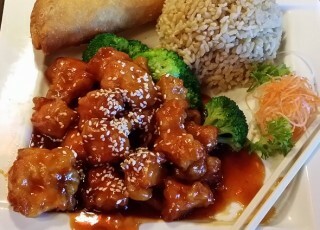 Sesame Chicken - Lily Sushi Asian Bistro: Kim&apos;s new favorite restaurant, Lily Sushi Asian Bistro, incorporates sushi, hibachi, and Chinese food selections all under one roof. Their sesame chicken made it to the top of Kim&apos;s list for the best meal of 2013. With a lovely atmosphere, perfect portions, and affordable prices you can&apos;t go wrong with a food selection from Lily&apos;s.
The Red Barron Double Decker Mealwich - Dunderbak&apos;s: Dunderbak&apos;s German cuisine is not only a favorite in Lehigh Valley, but also a favorite of our resident Web Geek, Jason, and was also our guest of last week&apos;s Foodie Friday Q&A. The Red Barron Double Decker Mealwich reigns supreme at the top of Jason&apos;s list for his best meal of 2013, because who wouldn&apos;t love two sandwiches in one? Chicken Bellissimo - Bellissimo Ristorante: Dubbed the perfect place to have your last meal in 2012, Bellissimo Ristorante is again at the top of our list in 2013. Particularly the Chicken Bellissimo with ziti noodles, is the pinnacle meal for our Director of Sports Marketing, Kuzy. Sauteed with roasted peppers, sun dried tomato, artichoke hearts, in a pink wine cream sauce, the best part about this meal for Kuzy is the authentic taste of home-made Italian food. 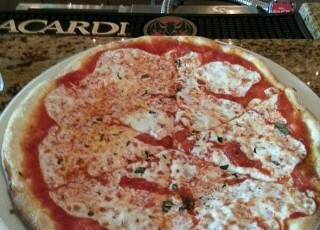 Margherita Pizza - Gio Italian Grill: Located in Macungie, Gio Italian Grill is home of, our President, Mike Stershic&apos;s favorite meal of 2013 - the signature Margherita Pizza with an Italian Salad. Baked in a woodstone open flame hearth with fresh mozzarella, San Marzano tomatoes, basil and romano cheese it&apos;s no wonder this pizza was at the top of the list in 2012. Fried Haddock Basket - The Pub at Wegmans: In June of 2013 Wegmans opened, The Pub, a full service restaurant in their Allentown location. Their internationally inspired menu includes of Katie&apos;s favorite meal of the year, the Fried Haddock Basket. 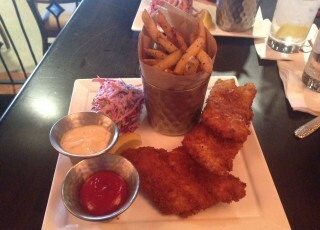 A &apos;fish and chips&apos; connoisseur, this is easily her favorite version of the classic dish. Paired with Tuscan fries and slaw, this is the perfect meal to relax with a craft beer and friends.